A mother’s job is never done. 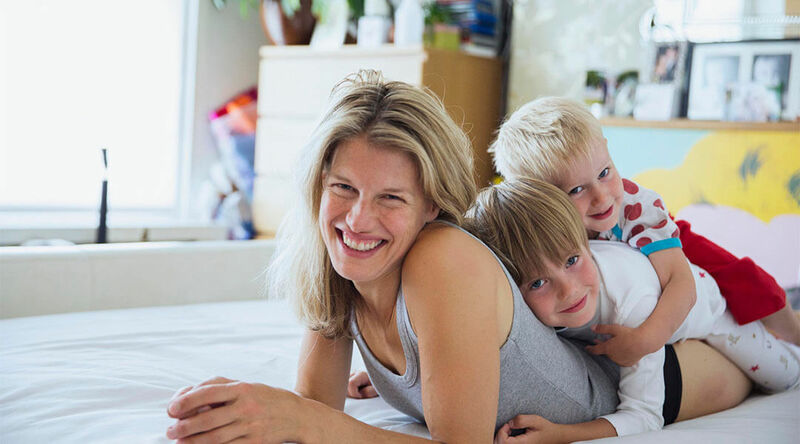 Taking care of the kids, home and job can take a toll on mother’s energy and she may experience frequent neck and back pain. This is when going out for a relaxing massage may seem like another job. So, what is the solution to treat neck and back pain? Well, get your hands on the best neck massager for home, of course. Should I Buy a Massager? How to Choose The Best Massager? 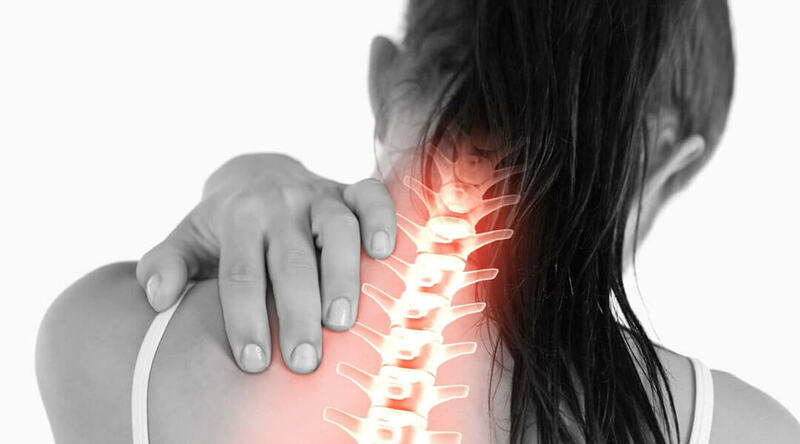 Neck, shoulder, and back pain are among the worst pain that a person can experience. According to a study, it has been estimated that both men and women experience some form of neck and shoulder pain during their lifetime. 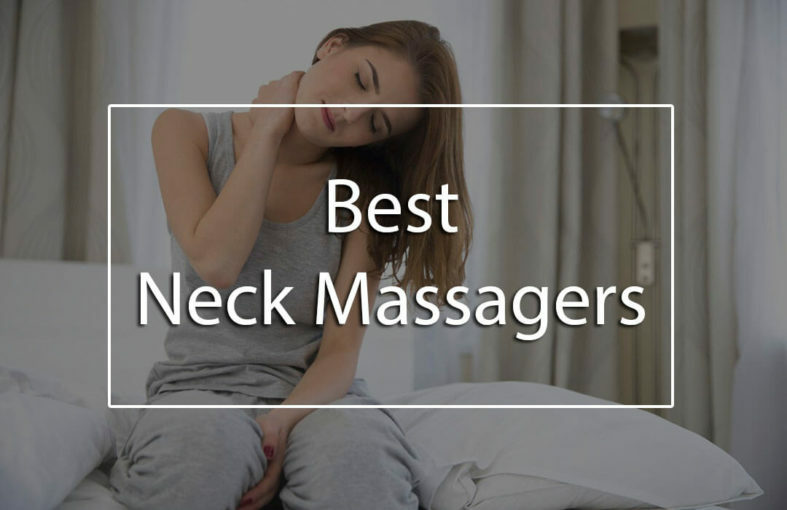 If you have been planning to shop the best neck massager machine to alleviate the pain in your neck, shoulders and upper back, we have done some research for you. Make sure to read this guide and reviews section before you choose to shop one for yourself. The Body Back Buddy Self Massager is one of the best massagers for people who want to address certain sore spots and specific knots in the shoulder and neck. It is a cane-like tool which comes with 11 massage knobs. The knobs can be used to reduce spasms, loosen knots and massage sore muscles. This is an easy to use massager that gives you the freedom to apply significant pressure along the upper back, neck, and shoulders. This is ideal for individuals, specifically new mothers who need to sit for long hours or have neck pain owing to bad posture. Mothers who love to pamper themselves will love this massage buddy. The PurePulse Electronic TENS Pulse Massager is unlike any other massager available on the market. This massage uses transcutaneous electrical nerve stimulation (TENS) to stimulate the muscles and nerves throughout the body. Individuals suffering from fibromyalgia, neck strain, and muscle spasm can avail great benefits by using this massager. It is one of the best neck massagers as it is incredibly versatile. It comes with six stimulation modes and 3 different movement settings. These settings make it an ideal device for first-time users and everyone in general. The Bruntmor Cordless Shiatsu 3D Heat Kneading Massager is great for massaging the upper back, shoulders, neck and other parts of the body. You can conveniently raise it or lower it to massage all body parts. It comes with a built-in rechargeable lithium-ion battery and has 8 massage nodes with 2 different modes. You can easily select the heat you are comfortable using to relax your back and aching muscles. When using this massager, you can easily save a lot of money and time by avoiding those trips to the therapist. The Nekteck Shiatsu Deep Kneading Massage Pillow is a mid-priced neck and shoulder massager machine that is versatile and comes with an adjustable format. 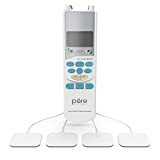 This one is a great choice for people who want to enjoy a full body massage without spending a fortune on the massager. It comes with 8 massaging nodes and 3 different speeds. The versatile design of the massager follows the contour of the body and allows focusing on target areas. 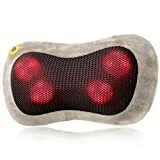 GESS Shiatsu Kneading Massage Pillow has been designed to deliver shiatsu-like infrared thermal therapy that helps relieve neck pain and discomfort. It has an ergonomic design which easily fit the contours of the neck and other body parts. It offers infrared thermal therapy that heats the muscles and thus improves circulation. This massager comes with a great combination of heat and pressure. It provides moderately strong massage and fits the base of the skull and neck perfectly. 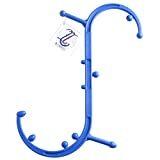 We go through hundreds of products listing at Amazon and also study the ratings left by previous buyers to find the best neck massager for you. Besides that, we also calculate the overall net customer satisfaction (NCS) grade because we want to see how happy is the previous buyers with their purchase of the product. Based on the top 5 product reviews above, we can say that Body Back Self Massage Tool, Nekteck Shiatsu Massage Pillow and are GESS129 are the best neck massager brands. These three models are popular and received many excellent ratings. We believe you will find them a good buy too. No pain is worse than pain in the neck; this is the reason why this phrase is also used to denote someone who is difficult to deal with. An electric neck massager is beneficial to treat the neck pain as it helps relieve the aches and stress in the muscles. By using neck massager, you can potentially improve the blood circulation and thus ward off neck pain and headaches caused by tight muscles. Using it regularly will help you feel light and relaxed. There are plenty of reasons why people choose to buy neck and shoulder massager. The main reason is constant neck pain which makes it difficult to move around. Poor posture, tendon strain, and physical injury are the common causes of neck and shoulder pain. If you are suffering from any kind of pain in the neck, there are high chances that you will most likely benefit with the use of neck and shoulder massager. Before you choose to buy the best neck massager, few essential factors must be considered. 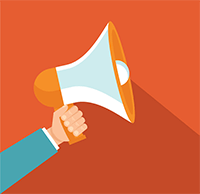 While some users prefer massagers with heat therapy, others choose electric massagers; therefore, make sure you know your preferences before making a purchase. The most important factor that will influence your buying decision is the amount of money you are ready to spend. Neck massagers generally cost between $20 to $300 and the price varies on the type of format you choose and the quality of the machine. You can get your hand on cushion type neck massager, wraparound-style neck massager, electric massagers and other types of massagers. Neck and shoulder massager machine are effective as they readily adapt to your neck size and thus give you relief from the pain. The costlier models come with more massage features, adjustments, and nodes to make it easy for people to enjoy a massage. A majority of home massagers come equipped with a variety of massage settings. While some include shiatsu massage setting, other devices include massage setting such as kneading and beating. So, before you make a purchase, think about the setting which is more likely to suit your neck condition. Neck massager machine comes in a broad variety of styles. While some massagers can be wrapped around the neck, others are designed as a pillow. Some manual massagers are shaped like a cane and include pressure point knobs. Another category is the electric chargers that must be plugged in or run on batteries. You need to choose one according to your preferences. When investing your money in massagers, think about the long-term benefits. Cheaper versions can break down more quickly. Therefore, it is recommended to a bit more to get your hands on the best neck massager machine. Choose a massager that comes with warranty coverage and a good number of customer reviews. Generally, mid and upper range massagers come with warranties. There are many benefits associated with a neck massage. These benefits have the potential to transform the quality of your life and make sure you live a stress-free and healthy life. One of the most significant benefits you will enjoy is that it helps release tension, stress and excessive pressure that you may be carrying in your body. It also gives you mental clarity and increases your focus. Massage eliminates the stress that may be weighing you down. While you may be physically unaware of the stress, neck pain can really take a toll on your health. A relaxing neck massage also helps melt away stress throughout the body as it releases endorphins which you may be carrying in your body. After the massage, you will feel better and relaxed. Even though massages help relax and unwind after a busy day, your mind and body will also feel wholly reinvigorated and reenergized after the massage. Neck massage helps in physically releasing the tension in the muscles and thus repairing the body cells without any resistance. One of the most significant unexpected benefits of neck and shoulder massage is that it helps you reach a state where you can enjoy mediation without any fuss. When your mind and body are at peace, it allows you to re-center, recalibrate and readjust without any impedance. There are plenty of neck and shoulder massagers available nowadays but save you time to look high and low. The one we featured here is the best neck massage in 2018. While every neck massager comes with its set of pros and cons, but overall we like Bruntmor Cordless Shiatsu 3D Heat Kneading Massager and we think it’s the best neck massager. As a new mother, you may not have enough time to go to a spa and indulge in a relaxing massage; this is when these home neck massage machines can help you banish the neck pain and shoulder pain for good. Try it out today!